Previously we discussed about How Does Google Make Money From Its Top 20 Most Expensive Keywords? Selecting a Top paying keyword for your site is very much important to earn more from Google Adsense. Keywords has to selected in such a way that it relates to your sites content. These top paying keywords bring top paying ads to your blog and some keywords will also bring more traffic to your site from search engines. It is advised to choose a top paying high traffic keyword for your site. The secret of increasing AdSense Earning is high paying Keywords, actually these keywords helps you to extend your Adsense Cost Per Click(CPC). Sometimes it happens that you have good Click Through Rate(CTR), means you are getting a adequate number of clicks, but your estimated earning is low. For example, you got 20 clicks and your estimated earning was $0.82! This is really frustrating! Actually low Cost Per Click(CPC) is responsible for this. You might have noticed that Adsense shows Ads according to post contents and keywords based on it. CPC is absolutely based on these keywords. Google won’t pay you an average rate for clicks. Sometimes you will earn $5 for a single click while sometimes they won’t pay you $5 for 30 clicks. Troublesome right! In fact this is something that you need to know. It depends on the Ads that people clicked. If people clicked on a high paying ad then you’ll get a good buck. Hence, if your webpage is loaded with high paying keywords you will undoubtedly get higher rate per click. 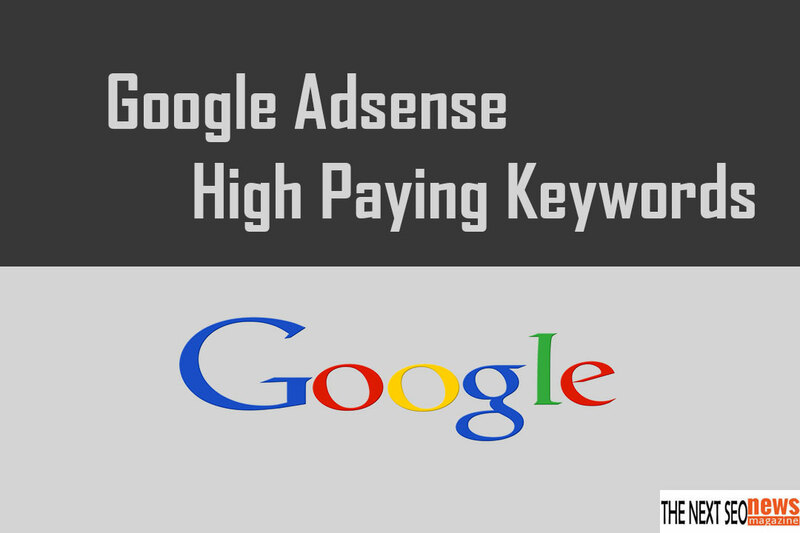 Thus we’ve listed some high paying Google Adsense Keywords. Moreover, you can find even keywords in Google Adwords Keyword Tool. Now what some Bloggers do is that, they think of boosting their earnings using the above listed keywords. And they use it in their blog content without matching niche. But in result they loose existing traffic and earnings too. For instance, if a blogger having cookery blog uses Google’s highest paying keyword Mesothelioma Law Firm in his content, this makes no sense. And he may even loose visitors. This is nothing other than foolishness. It’s obvious that all of these keywords won’t be suitable for your niche. Just find the keywords that are related with your blog and try to use them on your blog post. Never abuse these keywords. The Race to SuperComputer : India Prepared?